As spring gets going, so do festivals, fairs, plenty of outdoor activities and – finally – Sant Jordi! 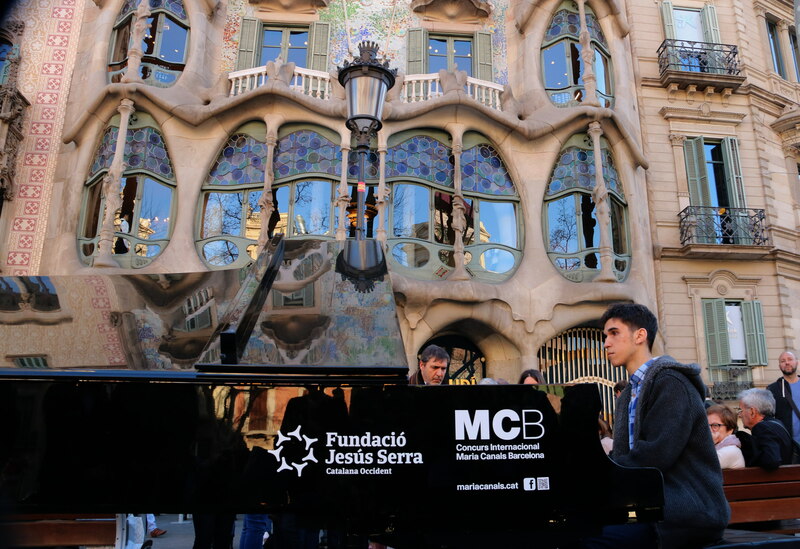 If you’ve noticed more pianos in public spaces throughout Barcelona than usual, this is due to the Maria Canals International Music Competition. The piano contest celebrates its 65th edition this year, and you can see some of the world’s best talents at the city’s modernist Palau de la Musica venue until April 4th, with tickets running from €5 to €35. April is a month that brings a variety of film festivals – and the little ones have not been left out. Taking place since January 12 throughout Catalonia, from Valls to Tàrrega, from Barcelona to Lleida, from La Garriga to Girona (and more), this event brings activities and movies for the little ones – it ends back in Barcelona, so don’t miss it! Also running until April 4th is the Mecal Short and Animation Film Festival, perfect for aficionados and aspiring filmmakers alike. The 21st edition of this event will be held at various events like the MACBA, the French Institute, the Movistar Center and Arts Santa Mònica. Screening over 350 films, each week the festival is dedicated to a different topic with parallel activities, including pitching workshops, crowdfunding coaching, network sessions, and four special programs on short films from this year’s guest country, Estonia. If you’ve traveled the world, there’s a higher-than-average chance you’ve seen the works of Catalan artist Jaume Plensa, known for their intricate detail, groundbreaking medium, optical illusions and often large scale. 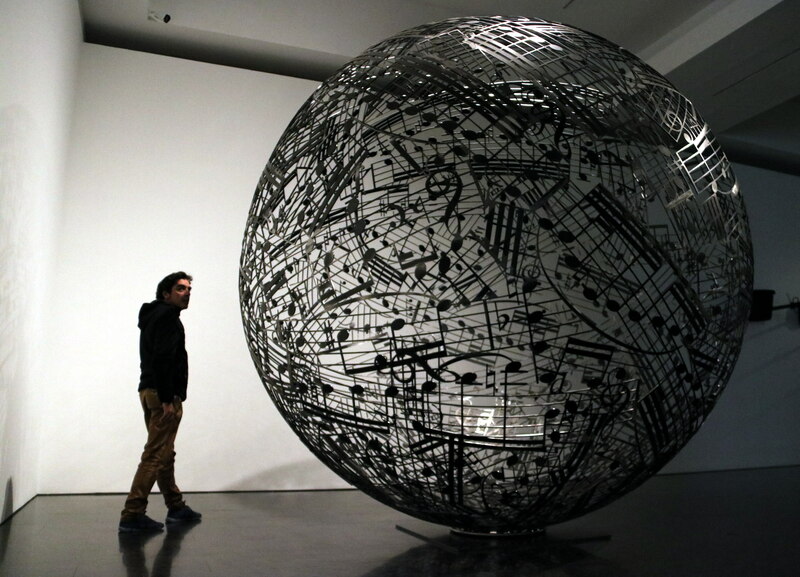 His pieces can be found in Madrid, Chicago, and in Barcelona’s Contemporary Art Museum until April 22. Don’t miss out on the chance to see this internationally recognized artist’s work collected in one of Barcelona’s most iconic museums. This exhibit is perfect for those curious about fundamental to quantum physics and who appreciate art – as an interpretation and an explanation of the former through the latter. It’s curated by artists as well as physicists and scientific advisors and co-produced by ScANNER (the Science and Art Network for New Exhibitions and Research), a collective which includes the illustrious CERN. You can find it at the Barcelona Center for Contemporary Culture until September 24. For aficionados of motorcycles, scooters, and everything in between – the yearly moto fair is here, just in time for spring. Organized by FIRA DE BARCELONA and promoted by ANESDOR, the event focuses on sustainability and safety, bringing over 300 brands and over 100 exhibitors to an expected attendance of over 32,000! 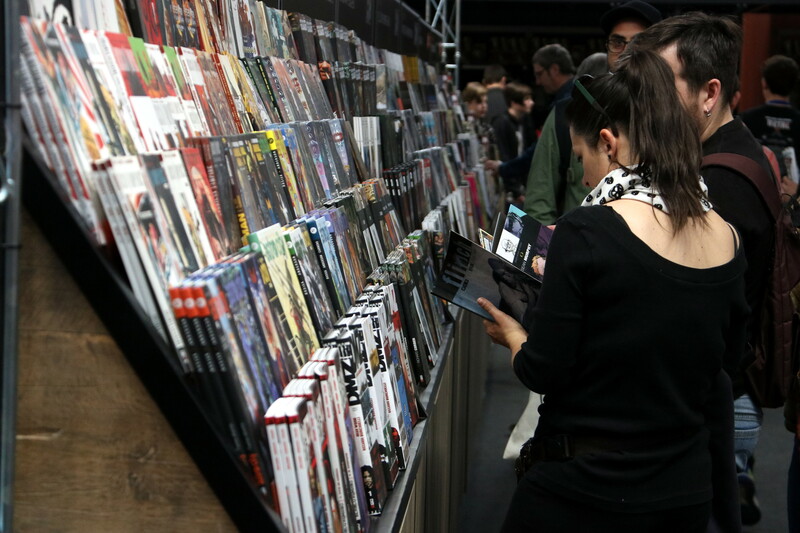 Barcelona’s own ComicCon kicks off at the beginning of April, running the first weekend of the month at the Fira Montjuïc fairgrounds – over 50,000 meters squared. The 37th edition of the event is set to bring over 180 exhibitors and various renowned artists as guest speakers. Additionally, the weekend is packed with activities like conferences, workshops, strategy games, video projections, and concerts. Tickets vary from €8 to €10. To enjoy the good weather in a beautiful location, check out one of Moià’s town celebrations, the Festa de l’Any del Porc. Featuring events from drinks and lunch to games and chocolate, as well as concerts, dinner, and more, this is sure to be a time well spent, in great company, with great music. To support the city’s independent music labels – and further – the Barcelona edition of the Independent Label market offers yet another option for what to do in the first weekend of the month. And of course – there’ll be music! The lineup includes Lisbon’s afro-infused electronica pioneers Principe Discos, the avant-garde sounds of Erased Tapes, the new faces of urban cuts from True Panther, psych reissue specialists Guerrsen, and more. You can find all this and more at the converted CREC warehouse space in Poble Sec. April is already known as a month to celebrate literature in Catalonia with San Jordi, but if you have little ones and want to give them a preview of the magical world of books, there’s a literary festival for children on, the first weekend of April, in the squares outside the MACBA and CCCB museums. The weekend features tons of fun activities for the kiddos, not only revolving around books but also creativity and art, as well. And, of course, story time, organized by age groups. To hear some truly incredible classical music performed by some of the most talented musicians, Barcelona’s L’Auditori venue brings you Dvořák (Legends Nos. 1, 9, 2), Chopin (Piano Concerto No. 2 in F minor, op.21), and Schumann (Symphony No. 2 in C major, op.61). Performed by the Barcelona Symphony and Catalonia National Orchestra, with Cristian Zacharias on piano and conducting, tickets ranging from €10 to €58. Jousting, traditional dances, activities, craftsmen of old, food and, of course, ale! Many of Catalonia’s towns have a rich medieval past, and Hostalric is an exceptional example of this. The town's medieval fair, right at the beginning of spring, during holy week, is a fun way to spend the weekend, and an excuse to get out of the city! Are you a movie buff? 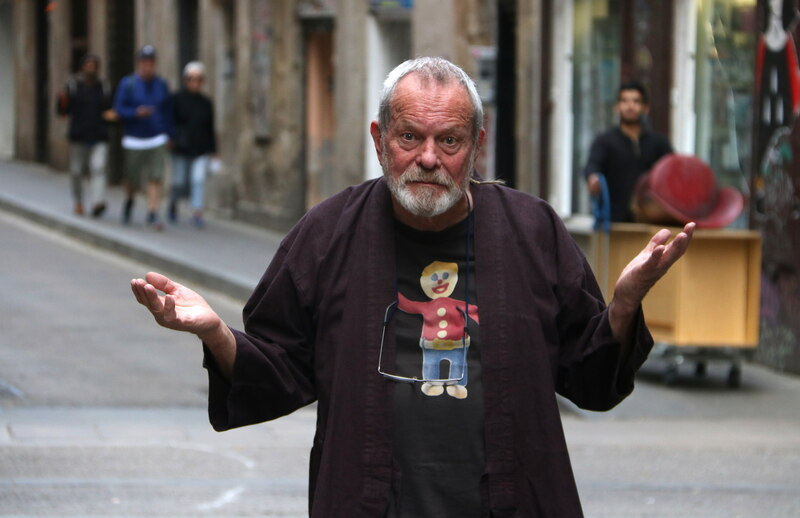 Each spring, the D’A Film Festival brings a review of what’s happening right now in the world of cinema to Barcelona. It prides itself in combining new, discovered talents with established directors and films all within curated programming. Tickets and passes hover at around €50, but for cinephiles, this will be a worthwhile investment to see the best worldwide contemporary auteur cinema on the big screen. 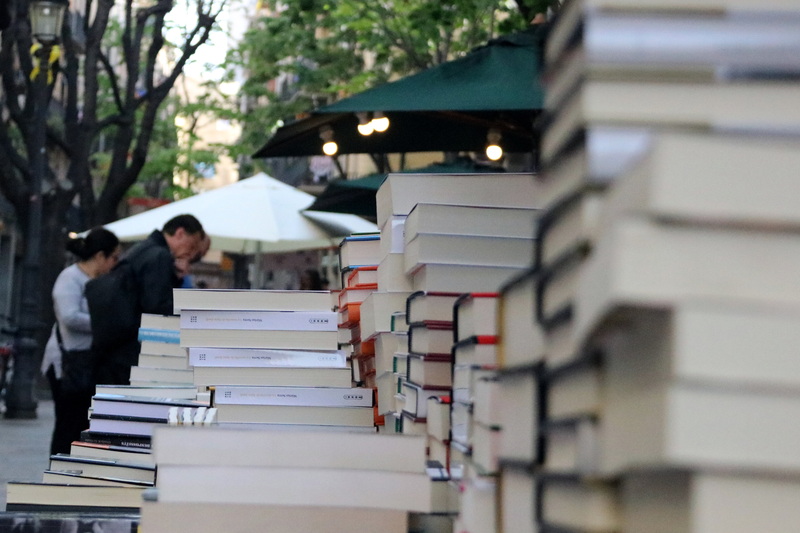 One of Catalonia’s most iconic celebrations takes place this month, circled on the calendar for hopeless romantics and bibliophiles alike: Sant Jordi, the day of love and books. It celebrates Saint George, Catalonia’s patron saint, and falls on UNESCO world book day. So, on April 23, the streets are filled with book stands and rose sellers, with tons of activities throughout the day. Are you a visual artist in Barcelona looking to get inspiration and make connections? The city’s Museum of Design is once again hosting its event gathering some of the best talent, in Catalonia before touring the world for the rest of the year. This is the event’s 19th edition, and tickets are in very limited quantity so act fast! Fancy a bit of contemporary dance? The Ballet de Lyon brings a selection of Czech choreographer Jiří Kylián’s work. The program will combine the classical and the modern to the tune of Heinrich Biber, Philip Glass, as well as Vivaldi, Mozart, Bach and others. For a grandiose night or an affordable outing at the iconic Liceu opera house where it’s held, seats range from €10 to €163, with something for everyone.